Aspiring college student filmmaker? 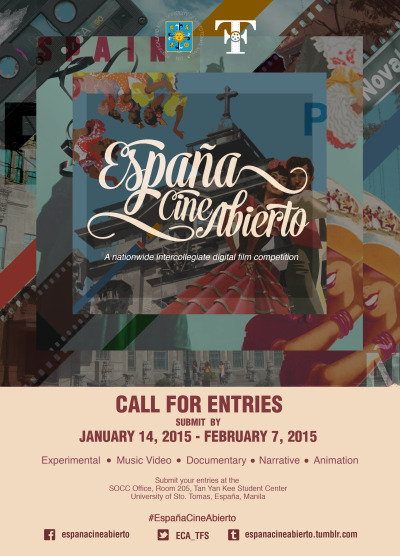 Join the annual nationwide Espana Cine Abierto Competition by the UST Thomasian Film Society. You have until February 7, 2015! Click here for more info on the Espana Cine Abierto Call for Entries.